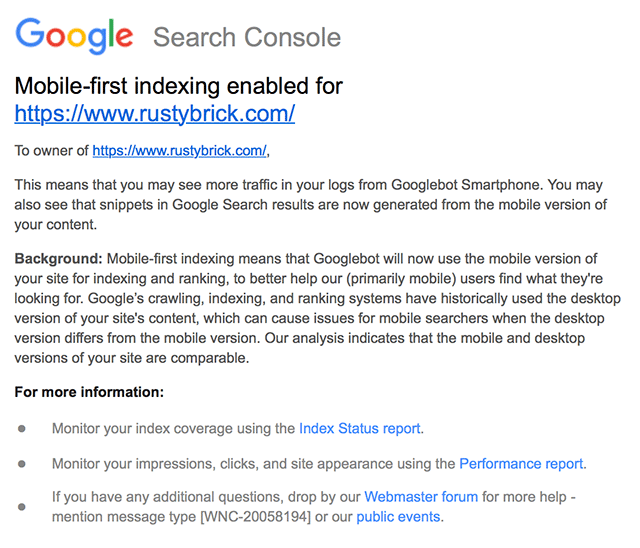 Starting earlier this week, Google began sending out tons of mobile-first indexing notices to webmasters. In fact, as I write this, I received a few more notices foe web sites I have verified in Google Search Console. 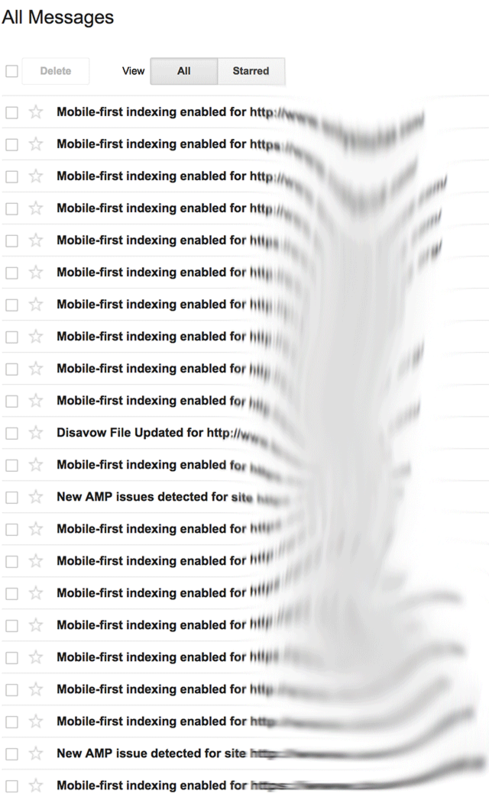 We've covered the first several batches of mobile-first indexing notices in the past and skipped many in between. But this last batch, which has been ongoing for the past few days, is one of the largest batches out there. In fact, even my corporate site, RustyBrick.com was moved over and it is one of those fancy mobile-friendly web sites. Prior, mostly sites that were not mobile-friendly were first moved but now, even mobile-friendly sites are being moved. I covered the topic here a ton so I am not going to rehash everything we've covered in the past. A common misconception is that mobile-first indexing is related to mobile-friendliness -- they're completely independent. If you have that many sites verified (luckily there's a 1k limit :)), I'd just mute that message. If a site has shifted to MFI and removes content from the mobile version, we'll continue to just index the mobile version. If the content isn't there anymore, well, it won't be in the index anymore either. All of this we covered before but hey - summed up in tweets helps. Previous story: Google Blue Shield Icon In Snippets For Some Government Sites?